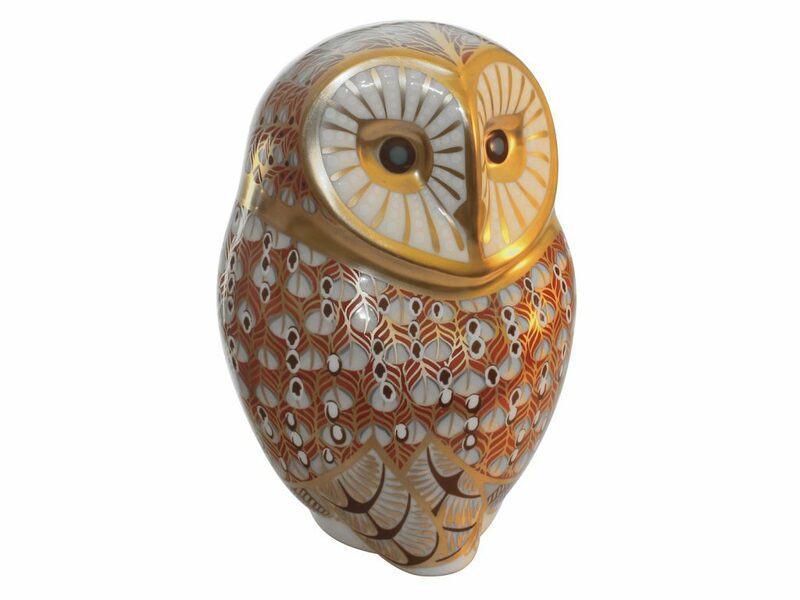 Part of the Royal Crown Derby Paperweight Collection this handsome Barn Owl is made from the finest bone china & is hand finished in 22 carat gold. The perfect addition to an Owl or paperweight collection, this piece will also be an ideal keepsake to celebrate a very special occasion. Have a look at the rest of our beautiful Paperweights Collection. The Barn Owl is decorated in rich reds and blues, with beautiful 22 carat gold details hand painted onto the piece.